Disney’s Mulan came out when I was 12, and you’d better believe I was excited about it. I was the girl who reacted to dresses and stockings with outrage and got big heart eyes at the sight of swords, so a girl dressing up as a guy and going to war was exactly my jam. Shortly after watching it, I remember climbing on a playground after church with a friend, while my brothers and I quoted the funny parts at each other. I asked her if she’d seen it yet. This caught me up. 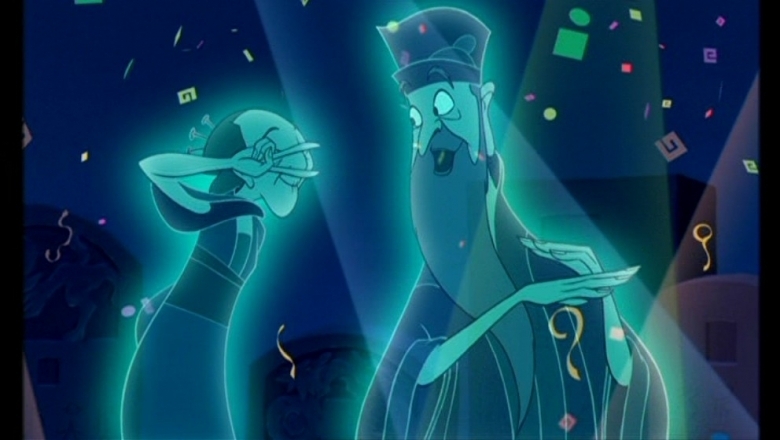 Yes, in the movie Mulan prays to her ancestors for help and protection, and in true Disney fashion, the ghostly ancestors are seen discussing her plight. 12-year-old-me wasn’t sure how to respond. It did…but it hadn’t occurred to me that it did. I’ll convert for the parties. I found myself thinking about this exchange recently, while my husband and I watched through Avatar: The Last Airbender on Netflix. I realize we are WAY behind the times, but wow did we enjoy it, despite neither of us really being anime fans. It was such a great story, with excellent characters, and it was deeply refreshing to see a fantasy series that wasn’t set in pseudo-medieval or pseudo-viking times. The show also depicts a variety of ethnicities and cultures, most of which are based on eastern civilizations. It’s great. Of course, there are references to various elements of eastern spiritualities… reincarnation, qi energy, a spirit world, and – featuring heavily in one episode of season two and recurrently through season three – chakras.